A reproduction of an oil painting hangs on a wall in this room. I am not knowledgeable about fine art and until reading a recent film review knew the artist only as J M W Turner. The review taught me his forenames – Joseph Mallord William. He was a brilliant revolutionary, hailed by some as the father of Impressionism. Like “Baker” or “Smith”, his surname derives from a trade. Wood-turners fashioned chair-legs, banister spindles, etc., typically with a pole lathe, and were much employed in the beechwoods around High Wycombe in Buckinghamshire, supplying the furniture industry there. But why should a turner be so called? Skeat’s Concise Etymological Dictionary says that “turn” comes from the Old English tyrnan or turnian and is related to the Old High German turnen, to turn. It has been reinforced by the unrelated Latin word tornare, to turn in a lathe, from tornus, a lathe, derived from the Greek τόρνος, used for a tool to draw circles with, which in turn is allied to τορός, piercing, a word which is also the source of “torus” and its adjectival form, “toroid”. Via the Spanish tornar, which is also related to the Latin and hence the Greek, we get “tornado”. “Tort”, “torque”, “torsion”, “tortuous” are among the various offspring of τορός. 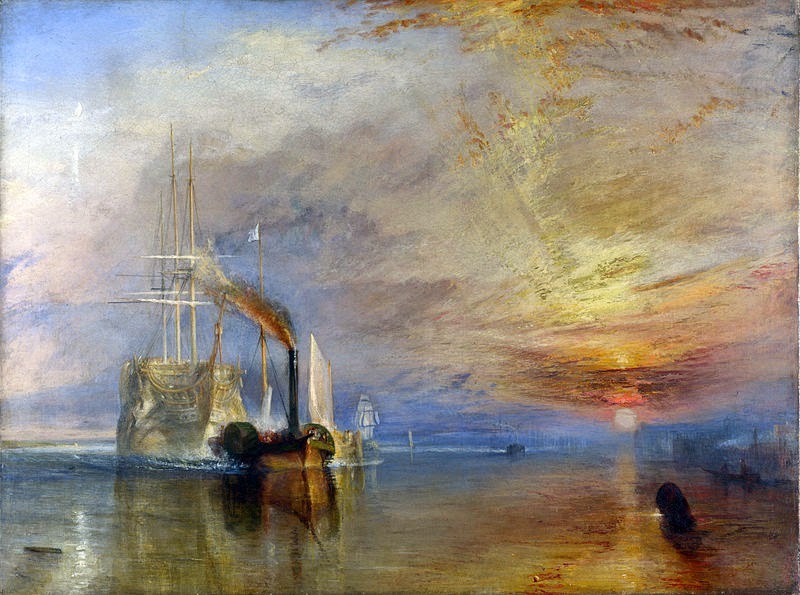 Turner’s surname, then, befits a revolutionary, but what about the origin of his forenames? His father’s first name was William and his mother’s full name was Mary Mallord Marshall. Was “Mallord” a given name, or did she retain her maiden name and prefix it to her husband’s name? I don’t know, but I found trace of a Joseph Mallord, christened in London on 22 January 1695, who might have been her father – she was born in 1739. “Mallord” is a rare surname. It may be an Anglo-Saxon form of “miller”, hence also a trade-name. Or it may be a corruption of “mallard”. Anyhow, Turner settled in Chelsea. Rents were cheap and he wanted to be near the Thames. In the seventy or eighty years after his death Chelsea became well known for the number of artists living there. Mallord Street, on the far side of the King’s Road from his studio, was developed around the turn of the twentieth century and is presumably named in his honour. I have a friend who lived in Mallord Street during the late 1960s and early 1970s. Once or twice back then, I wondered why the street was so named. Now I think I know, thanks to a chance reading of a movie review and the pleasing toroidality of a world in which everything is connected to everything else. Once you get round to it, of course. Very enjoyable. Thank you. I've always enjoyed Turner's work, even though I've only seen photos. But for some reason, I never bothered to find out his given names. Sheer laziness. I've read very favorable reviews of the film, and Timothy Spall is an actor who's always worth watching, so I plan to get the DVD when it's available. Even though I ordinarily dislike film bios.